يشكل فندق جراند تشانسلر بريسبان بموقعه الممتاز في بريسبان نقطة انطلاق جيدة لاستكشاف هذه المدينة النابضة بالحياة. إن موقعه الجيد الذي يبعد 1 km فقط عن مركز المدينة يساعد النزلاء على الاستمتاع بمعالم المدينة ونشاطاتها. يشكل هذا الفندق ملاذاَ مريحاً للاسترخاء ويمنح زواره فرصة للاستجمام والتجدد، وهو يقع على بعد خطوات من المعالم السياحية الكثيرة للمدينة كمثل: مستشفى سانت أندروز التذكاري للحرب, Eye-Tech Day Surgeries, مستشفى بريسبين الخاص. استمتع بالخدمات الراقية والضيافة التي لا مثيل لها بهذا الفندق في بريسبان. يمكن الاستمتاع بمجموعة من الخدمات على أعلى المستويات في الفندق كمثل خدمة الغرف على مدار الساعة, خدمة سيارات الأجرة, مجهز لذوي الإحتياجات الخاصة, مكتب الاستقبال على مدار الساعة, مرافق مخصصة لذوي الاحتياجات الخاصة. استمتع بوسائل الراحة الراقية في الغرف أثناء إقامتك هنا. بعض الغرف تتضمن غرفة معيشة منفصلة, تلفزيون بشاشة مسطحة, اتصال لاسلكي بالإنترنت, اتصال لاسلكي بشبكة الإنترنت (مجاني), غرف لغير المدخنين لمساعدتك على استعادة طاقتك بعد يوم طويل. يقدم الفندق مجموعة رائعة من الخدمات كمثل مركز للياقة البدنية, حمام سباحة خارجي، لجعل إقامتك تجربة لا تنسى. إن فندق جراند تشانسلر بريسبان هو خيارك لخدمة الفنادق الراقية في بريسبان. يرجى العلم أن فندق ذا جراند تشانسلر بريسبان لديه اتصال محدود بالإنترنت المجاني (واي فاي) في الردهة والبار والمطاعم. يمكن لكل الغرف الاتصال بالإنترنت اللاسلكي برسم إضافي. يقدم الإنترنت اللاسلكي مجانًا في الأجنحة وغرف سوبريور فقط. This hotel never fails to impress. From the greeting and drink on arrival, to the quality of the room and the facilities and the friendly breakfast staff the experience is fantastic. The team go above and beyond to ensure your stay is perfect. Would highly recommend this hotel. 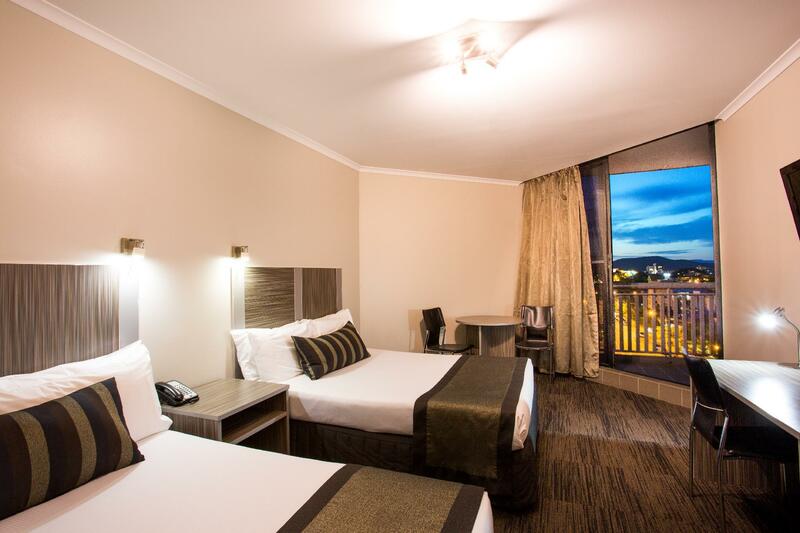 The staff that greeted my when I arrived late were friendly, supportive and offered me a late checkout, they were a pleasure to talk to the room was clean and sparkling and both rooms I stayed in had magnificent city and river views. I was able to walk to where I needed to go, very central, great place hopefully be back and have time to check out the pool next time! Fantastic location, outstanding facilities. The most comfortable bed, like sleeping on a cloud. Vast in room dining options. Beautiful gleaming bathroom. Breakfast was scrumptious with great options. The only thing we could fault you on was the lengthy wait for the lifts which i suspect was the outcome of a full hotel. Would gladly stay here again, in a heartbeat! The hotel is great! Balcony with nice view , comfy bed nice bathroom , hotel near to Roma St Station where we take the Airtrain to Goldcoast roughly 1 1/2 journey to Surfers Paradise Frm our hotel it took at least 15 minute walk to Queen St Mall..There is also bus just near the hotel..There is also a turkish halal restaurant just nearby the hotel..The food is delicious and price is reasonable..I enjoyed my stay ,shopping and sightseeing! I stayed here as part of my business trip. The location was not ideal if you want to shop in the Central. It was 1.1km away (which was fine) but the walk back was uphill (Brisbane is hilly!!) which made going to Central. The saving grace was the Spring Hill City Loop which brought us down to Central but it only operates from Mon-Fri. Food options was available at Boundary St. Try the Creole Soul Kitchen! It was packed with locals and I went there thrice! Awesome food. Wished there was shower heads apart from the rain shower. Bottled water in the room was chargeable, get your free bottles from the reception. Breakfast is not impressive unlike what many reviews mentioned. It was just american breakfast and pastries, cereals and juice. However the 1 for 1 offer made it affordable. On check in we were offered free parking being a weekend which was a welcome bonus. The check in staff were extremely friendly and efficient. The rooms were clean and spacious. We had a group of clients meeting us on Saturday morning at the hotel to board a bus and we had bought a case of water for the tour the night before and the staff placed it in the kitchen fridge to ensure they were cold the next morning without any fuss. Overall, we enjoyed our stay and will be back again. In comoaruson to sone others nearby which are not much cheaper, this hotel iis by far much better value. The gym is great, the rooms clean, spacious and neat and the staff very friendly. My no. 1 choice for Spring Hill. The place is beautiful and free parking on the weekend was great ! The only problem I had was the fact you couldn't put subtitles on the television and they have put a bar on the volume and you can't turn it up all the way. You just cannot beat this hotel for price, cleanliness, efficient staff and great location. Parking on site is excellent and they always tempt you with a two for one offer on breakfast. A brilliant place. 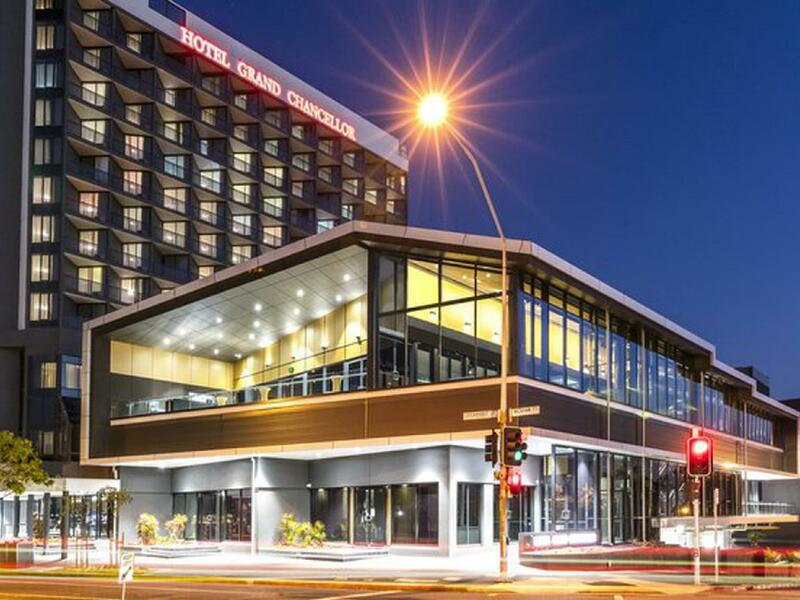 I have stayed at the Grand Chancellor Brisbane about six times in the last year - which I guess speaks for itself. 3 visits were during the renovation period - however the more recent visits were post renovation. The rooms have had serious makeovers and are very guest friendly. A good selection is available on the room service menu and inexpensive parking by Brisbane standards is great. I'll be back! Quite, affordable, good access to city and surrounding areas. 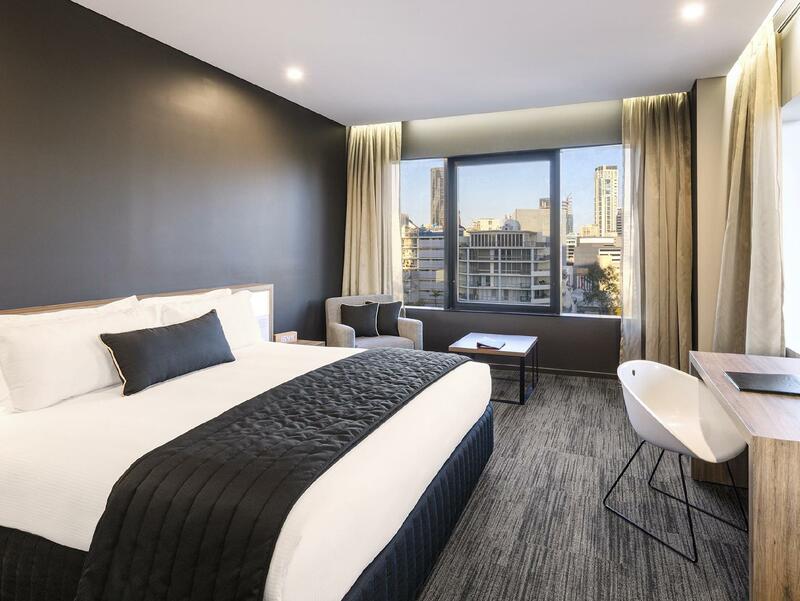 I stay here whenever I'm working in Brisbane which is regularly, I've never had an issue here, the staff are always very friendly and helpful and the rooms are all of a good standard. The underground parking is also easily accessed and is well priced. 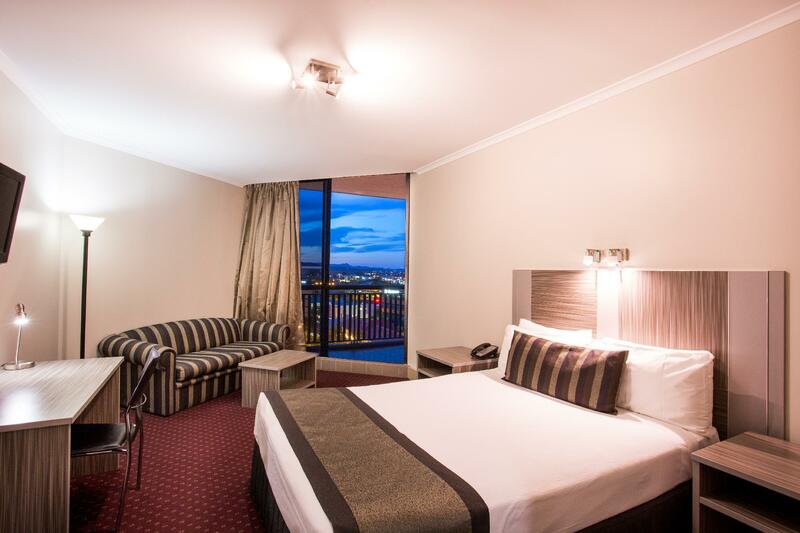 I always stay here when in Brisbane, you can't beat a good reliable hotel with good service. Service was great wonderful staff. Room great, great view. Excellent position within walking distance of St Andrews Hospital. Near bus stop to city although walk downtown is easy. Near to St Andrews War Memorial Hospital for those supporting patients. Lovely coffee shop and restaurant if eating in. Really very nice stay all round. We arrived very early, because we had an activity at 10:00am in the city, they gave us our room as soon as it was available, even though they have luggage storage. We were in our room about ten minutes of our arrival! Super convinient, clean, and really close to the city! Loved it!! I ended up in a wheelchair and on crutches whilst on my trip. I had booked a regular room at the GC prior to my accident. After I arrived on crutches, I was immediately moved to a mobility friendly room when reception and guest manager saw my condition. They were proactive in seeing that I was limited in my movements and the new room that I was given was absolutely ideal for my ability to get around. The wet room layout and wall mounted flip down shower seat was a god-send considering my pain and movement problems. I would recommend this hotel based on the customer service, accessible rooms and their overall cleanliness/presentation. The beds and pillows were also extremely good. I would stay here again. Booked this hotel for location to medical specialists. 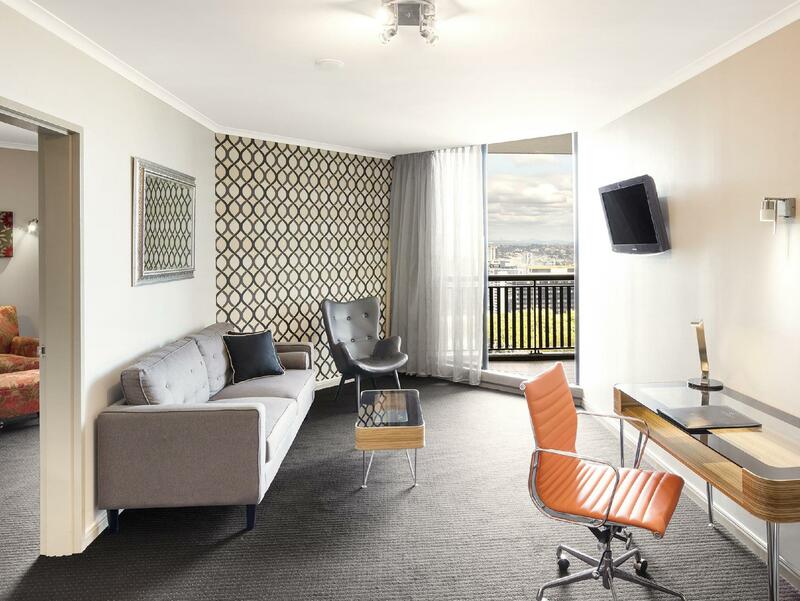 The stay was great and will use for future stays in Brisbane. Spacious clean room with friendly staff. Parking not an issue, underground.